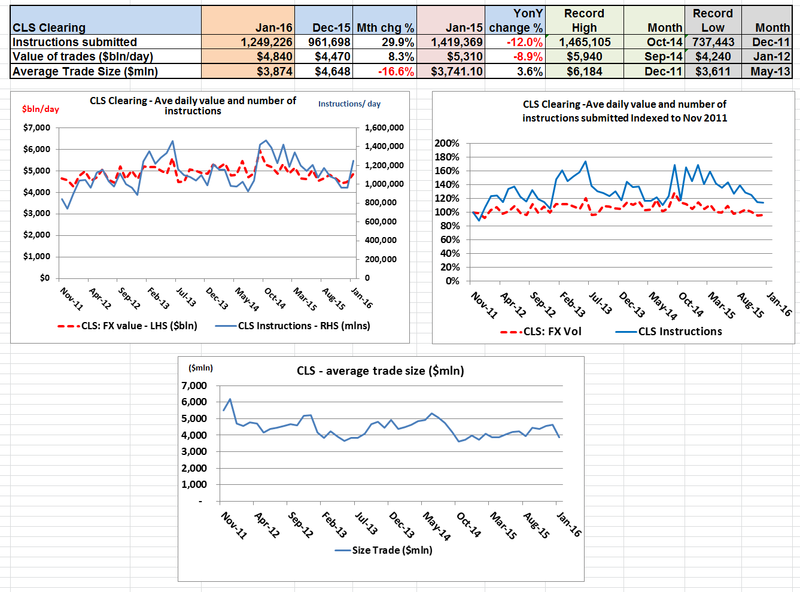 CLS value of instructions submitted: $4.84 trillion/day in Jan 16, up +8.3% on the $4.47 trillion/day in Dec 15, although down -8.9% compared to Jan 15 level of $5.31trillion/day. CLS number of instructions submitted: 1,249,226/day in Jan 16, down +30% on the 961,698 in Dec 15, and down -12% on Jan 15 level of 1,419,369. Average Trade size: $3.87mln in Jan 16, down -16.6% on the $4.65mln in Dec 15, although up +3.6% compared to $3.74mln in Jan 15.